Social media scheduling software offers a large number of benefits to businesses and the marketers that work for them. It makes it easier to create a coherent social calendar, it streamlines the process, and it can even make teamwork much easier. That being said, the scheduling software is only as strong as the knowledge of those who are using it, and there are several mistakes people tend to make when it comes to using social scheduling tools. In this post, you’ll learn the six most common mistakes people make with their social scheduling software and what you can do to avoid them. There have been a lot of big changes happening on social media recently, and Twitter’s new spam rules directly affect how businesses and marketers can use social media scheduling software. In February 2018, Twitter announced its new posting rules that prohibit the mass use of scheduling software to post a single Tweet to multiple accounts. This change most significantly affects marketing agencies, but it can still have an impact on small businesses that may be linked to others by having multiple locations or being part of a sister company. They also prohibit users from scheduling a single Tweet several times over. Though it was previously allowed, users can no longer create a Tweet and then schedule it to run again in three months and again in six months, and so on. While this was a feature that many social media scheduling tools offered, you can no longer use these features for Twitter. Some scheduling software has taken note of the new rules and won’t allow you to tweet the same message across multiple accounts, but you should still be careful and avoid recycling content on Twitter, or you’ll risk getting your account flagged. Sharing your own content is great, and it’s a necessity to help build your brand, but sharing content from other profiles can be an excellent strategy for most businesses, too. You must maintain a healthy ratio between your own product content and external content that you post. Whether you want it to be 60:40 or 50:50 should depend on the community you’re targeting: the more diverse the community, the more external content you should be posting. Scheduled content and queued content can absolutely be the basis of your social media strategy, but you shouldn’t set it and forget it. Instead, be aware of what’s happening in your industry, and be ready to jump in on trending topics as needed. 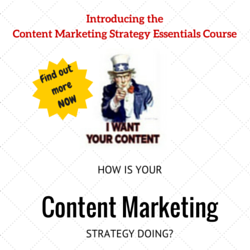 This can increase the visibility of your content and its overall engagement. 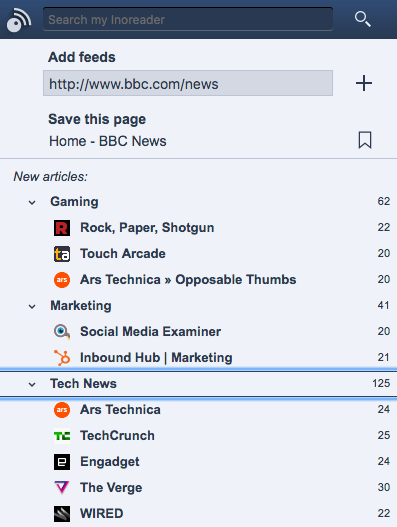 Use special tools to keep up with your top information sources: once you choose your favorite topics, all the related content starts coming straight to you, saving you from having to go and check every site on your own. If you’re taking social media day by day, there’s a good chance that you aren’t seeing the bigger picture. 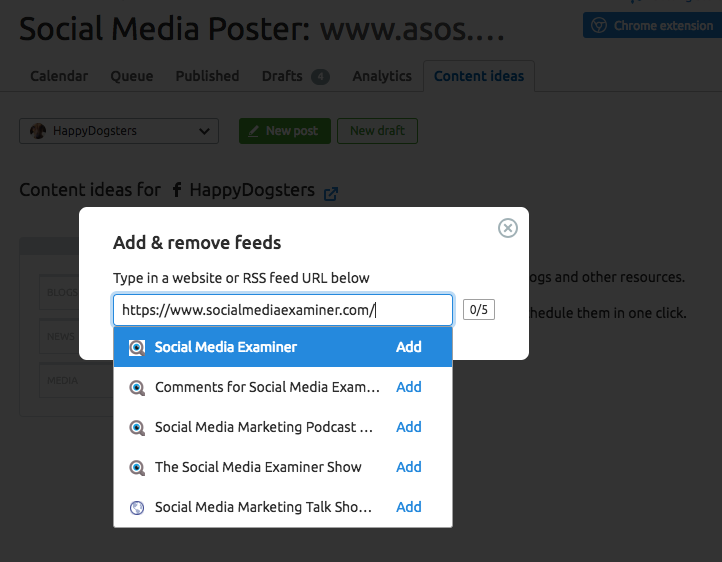 It’s easy to post too much similar content all in a row, or fail to organize or create content in a way that will help you achieve your long-term goals. Strategic content calendars are one of the best ways to get the results you really want out of social media. They allow you to be strategic and have different types of content serving different purposes working for you. You don’t just want a stream of eight blog posts and then twenty different promotional posts. It’s unbalanced, and it can quickly become tiresome for your followers and drive them away. 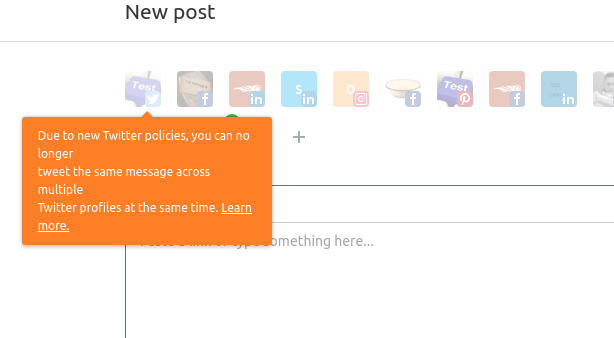 Use social scheduling software to divide your content into different categories of queued and scheduled posts to create a diverse, well-balanced social presence. Most scheduling tools allow you to create a personalized schedule in your social media content calendar. This is very convenient as you won’t have to think about how much you have already posted on a particular day or when to schedule your next social media post. Whenever you find an interesting piece to share, just send it your queue and it will go live at a preset time. I prefer seeing my posts for a month ahead, so a monthly calendar view is an absolute must-have for me when picking a scheduling software. When you first get started with social media scheduling software, it’s easy to be tempted to check in once a month to upload content and mentally check out for the other 29 or 30 days. But what about all the events and occasions that can be used to make your customers more receptive to your marketing campaign? This can be anything from a Royal wedding planned well in advance to a sudden solar eclipse, and such events definitely deserve a slot or two in your social media calendar. Nothing about social media should ever be run truly on autopilot; that includes your content schedule, and it also includes monitoring engagement. Social media is designed to generate discussion and interaction, and failing to respond to comments, messages, and even shares won’t bode well for your profiles and Pages long term. Despite this, it’s very common for people to use scheduling software because it’s a convenient solution to social management, and they don’t want to deal with any of it any more. You will always need to monitor engagement constantly. There’s no magic solution to that. Getting those comments and messages, after all, is exactly what you want, so do what you can to keep it going. There are tools out there that can help you manage your social media conversations, messages, and comments all in one social media inbox. Some of them even provide you with a team inbox, enabling team access to your social media comments. Social scheduling software is a third party tool, and some brands that use these tools exclusively manage their social media through them. This means that they’re never logging into the actual platforms, where they’re likely to stumble across the native analytics. Instead, they end up just plowing ahead, month after month, without ever stopping in to check the analytics. This is a crucial mistake, because your analytics will help you discover trends and patterns in what works well and what doesn’t for your audience. You may even find that certain types of content work well on one platform, but not another. Many social scheduling platforms also offer analytic tabs, where you can view this information to help you better plan your next month’s content calendar and adjust your strategies as needed. For example, you can reschedule the posts that performed especially well. However, the best way to research your audience is with native analytics. All major social networks will provide you with an overview of your audience’s demographics, location, interests, and other topics your audience is into. Combining this data with content analytics (what works well and what doesn’t for each social network) will allow you to tailor your content to specific audience segments. Social media scheduling software is a valuable tool that most small and medium businesses can benefit from, as long as it’s used correctly. In order to maximize your benefits, avoid these 6 common mistakes that are made with scheduling software. What do you think? Do you use social media scheduling software? Have you made any of these mistakes? Share your thoughts and experience in the comments below. 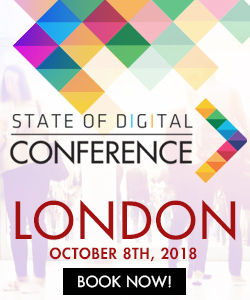 Maria Raybould is a Online Marketing Specialist at SEMrush.